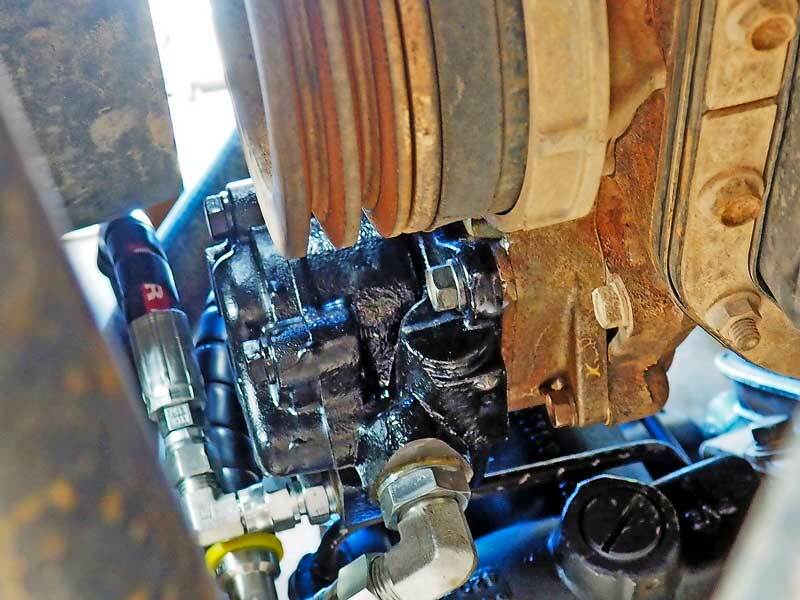 A new report has revealed the six-cylinder diesel Ingenium powering many Discovery 5s could be among the cleanest engines on sale today. If angry ruffians with explosives are impeding your daily commute, Land Rover has just the vehicle for you. Jaguar Land Rover has developed a new straight-six engine with forced induction from both a twin-scroll turbocharger and an electric supercharger. 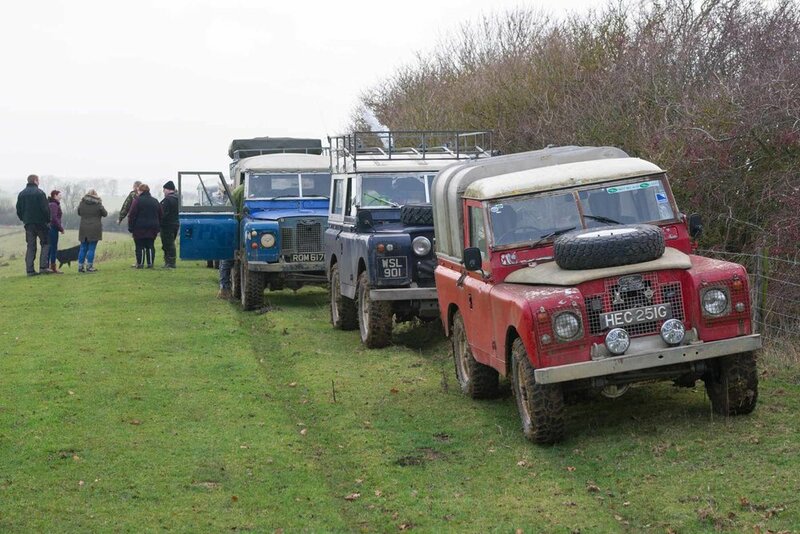 Residents of the West Midlands needn’t fear the winter freeze, thanks to Land Rover drivers from the 4x4 Response contingent of the Midland Rover Owners Club. Land Rover is to make a limited run of specially-equipped ‘Anniversary Edition’ Discovery 5s to celebrate 30 years of its hugely successful 4x4. A satisfying compilation of period footage from the early days of Land Rover, with modern footage of an off-roading 80in. Black Friday is one of those events that has people in the UK glued to their computers, seeking out the biggest bargains. We’re bombarded with deals for this, that, and the other – things that will undoubtedly enhance our life – when in reality, the thing that would make most of us happy is a great day out with friends. 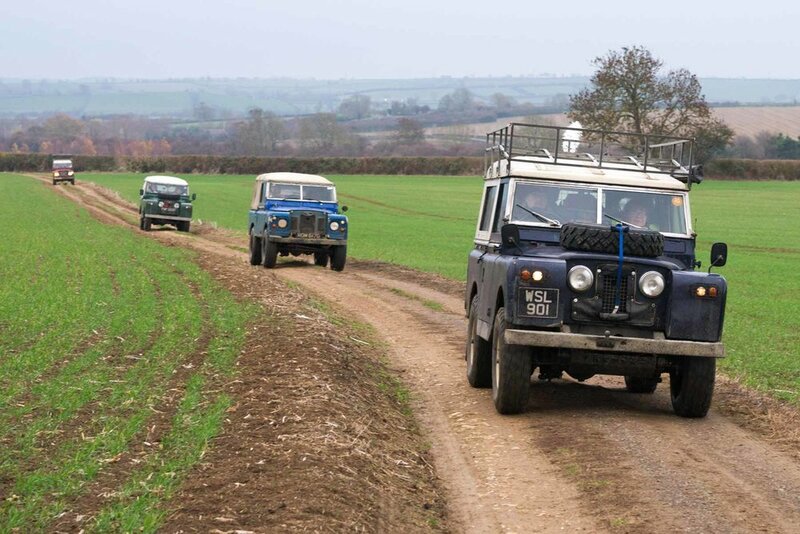 That’s about the gist of the East Midlands area of the Series 2 Club’s Thanksgiving greenlane run. Meet up, drive some green roads, have a laugh and enjoy some good food. I missed last year’s run, which looked a lot of fun, so I shoved this year’s date in my diary as soon as it was announced. And when John Stokes, the organiser, put out a request for group leaders, I volunteered my skills. Anyway, as the day approaches, the number of people attending fluctuates, with some dropping out at the last minute and others asking to join at 4am, but 22 Land Rovers, ranging from Series I through to Defender – but mostly Series II/IIAs – have arrived at the start in Uppingham. And some are even on time. The market square has been closed off to allow us to muster (well, actually, it was closed to allow the Christmas tree and lights to be put up, but we promised to stay out of the workers’ way), and we split the vehicles into four groups, keeping the numbers down to GLASS guidelines, with two groups going in each direction. I lead my group off first. I’m in my 1969 Series IIA 88-inch and we’ve three more SIIA 88s and a Series III 109 and we head off north to drive the lanes in an anti-clockwise direction. The first half, north of the A47, includes some green roads that I’d not driven before, including some gated ‘Field Roads’ as Leicestershire County Council signpost them. Some are simple tracks, others are tarmac roads that have deteriorated to the state where most drivers of hatchbacks would find alternative routes. Farmyards have become makeshift car parks for shoots, and Tweed-clad beaters chase pheasants out of the sanctuary of the woodland and into the guns’ sights. Up hill and down valley we bimble, crossing small fords and getting the tyres dirty. It’s not heavy going – we haven’t needed to engage four wheel drive yet – just a nice day in the country. We cross to the south of the A47 and are now on some of the lanes we featured in our October 2018 issue. I’ve no idea what sort of pace I should be making – I don’t want to be caught up by the group running 15 minutes behind us – but equally, I don’t want to get to the meet point at the finish ages before the other groups. After all, they’re carrying the food. So we cross a slightly rutted section and stretch our legs. And 15 minutes later, the group following us, and one heading the opposite direction, arrive. Clearly, we’re running about right on time, and this is halfway. Rather than amassing too many vehicles in one point, we head off again. More gravel field roads beckon and more fords. I know these lanes well, so I just elect to stop at the fords to get pictures – it’s a bit dull and grey for big scenery shots. We loop round and start our run in to the end point, crossing the ford near Thorpe Langton. This is one of the larger fords in the area, but today it’s just right, being just about bumper depth on the Land Rovers. Some gravel sections follow and Adam and Chelsea, in their heavy 2.25 diesel-engined Series III 109 are struggling to maintain speed up some of the steeper hills, so we back off a little. Good convoy etiquette is essential on a trip like this. Always keep the vehicle behind in sight and stop or slow if you lose them – if the group gets split, it’s always the car in front’s fault, not the car behind. We concertina at a junction and tackle the last couple of firm and gravelly green roads before finishing at the Eyebrook reservoir. We’re the first group back, but are soon joined by the others. John Stokes has sorted out trays full of turkey sandwiches, Vicky Turner has brought along two massive vats of home-made butternut squash soup, one of which is re-heated on the door-mounted stove on her Land Rover, while Richard and Lesley Oldfield warm the other on their one. Gordon and Wendy Lowe and others have brought along mince pies. It’s a proper feast. Chatting to people from the other groups, we’ve a right mix of people along, with a contingent from East Yorkshire and others from Lincs, Notts, Cambs, Northants, Leics and, of course Rutland. Vehicles range from ones owned for decades to recently-purchased ones, from tatty to immaculate. Land Rovers really are a vehicle for anyone. As the light starts to fade, people drift off, the tarmac strips being picked out by the dim glow of Series Land Rover headlights. Ten miles in an hour. Doesn’t sound much, does it? After all, if Sir Roger Bannister had continued running at the speed he broke the four-minute mile barrier, he’d have covered fifteen miles in sixty minutes. But you try covering ten miles following a specified unmarked route, cross country in an almost featureless landscape, spotting and recording the letters stuck on 100mm squares. Welcome to the world of 4x4 navigation events. We’re at the driver training area at Bovington, Dorset, home to the British Army’s Armour Centre, where soldiers are taught to drive and maintain armoured fighting vehicles. The terrain needs to be punishing to give the service personnel the skills they need; it’s harsh on tanks and even harsher on light 4x4s like Land Rovers. We’re competing in Saxon Express, an event run by the British Army Motorsports Association (BAMA) that will challenge both driver and navigator. And I’d go as far to say that the Bovington site offers the best combination of tricky navigation and driving – vast expanses of similar-looking terrain makes it easy to get disorientated, and the power-sapping sand coupled with very cut-up surface means you can’t go too fast, or too slowly. Run as military exercises in which civilians can compete, all you need is a 4x4, light recovery kit and a navigator, then away you go. The event is made up of different phases, each designed to test driver and navigator, and for this event there are six. We kick off with a scatter. We’re set off at minute intervals and the start marshal hands us a map with twenty locations plotted on it. It’s simple enough, visit as many of the locations in any order in the time allowed and record the letter we find in the appropriate box. Sean, my son who is navigating for me, and I are veterans of this sort of event, so are competing in the Expert class – we have to deduce a couple of the locations from the clues given. Our aim is to record all twenty code boards; Novice and Beginner crews have to reach fewer locations. We clear it, getting into the time control in time (you pick up one penalty for missing a board, two for each minute late – so it’s often better to cut-and-run if you’re close to your time) and it’s onto the trial sections. Trials are driving a route determined by pairs of canes – called ‘gates’. The further you get along the section without ceasing forwards motion the lower the penalties you score. The aim is to clear it. 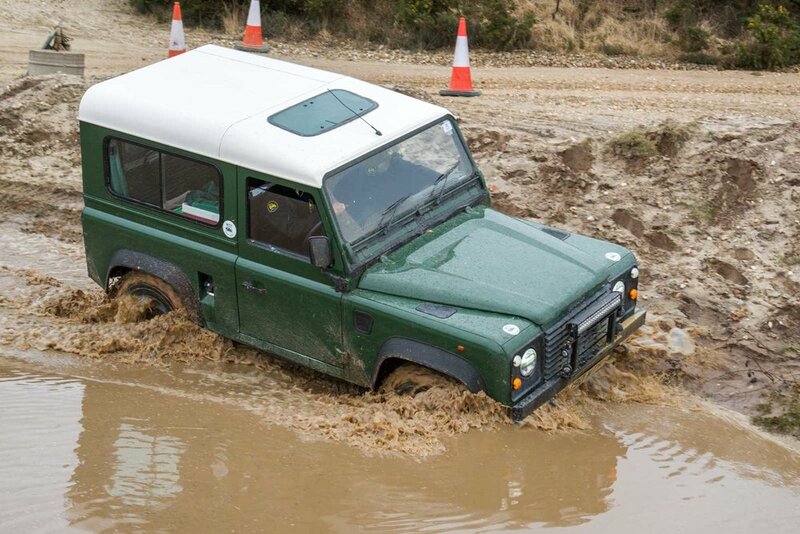 The sections are set up by members of the Dorset Land Rover Club and are, in my opinion, just the right difficulty. Soft and slushy sand saps power, but go too fast and you’ll understeer into a cane. We clear the first section, but can’t quite get the traction to get through the 1 gate on the second section. The third section starts with a deep watersplash before climbing a steep concrete ramp. Traction isn’t an issue there, but it is when we face the soft, powdery sand towards the end of the section – at least the mound yields when I bash our Defender 90’s bumper into it. I used to marshal BAMA events in the early 1990s and it would be relentless competition. These days you have to take into account driving hours regulations, so there’s an enforced lunch break. Everyone is back in, except Royal Navy’s Rory and Andrew in their Series IIA Land Rover. They’ve broken down, so we tow them off the area to sort a fix (it turned out to be the distributor had jumped out of engagement). A gymkhana awaits after lunch – an autotest around cones and into garages, but not against the clock – then the Gunnery phase. This sort of phase is becoming a mainstay of BAMA navigation events, where the venue is large enough. You’re given a distance and bearing. You have to plot it on the map from the firing position, visit the location, record the board and return for the next one. ‘Targets’ at 1km are worth three points, 750m two and 500m just one point. We opt for the high-scoring ones, but despite double-checking our plotting, we can’t find the first, nor the second target, so we go for a closer one, but can’t find that either. We know we’re in the right place, but we can’t find the boards. The temperature has plummeted. Snow is falling and water that’s thrown up by the wheels is freezing on contact with the Defender’s bodywork, but there’s no let-up for us, or the hardy marshals braving the bitter winds and keeping the event on track. We face a multi-format phase. Beginners are given sheets with the routes marked, experts get a variety of instructions, from traces to be marked onto maps to grid co-ordinates and tulip diagrams. Both the driving and navigation are hard and we’re up to the site speed limit of 30mph as much as possible to cover the miles. Speed cameras are used to enforce limits and they could be wielded by personnel wearing ‘crinkly green’, so the first you’d know about a speed trap is when you’re flagged down. And a 10-point penalty would spoil your day if you’re after the win. We have to cut-and-run the end of the final section and check in at the time control ten seconds within our allocated time. Phew. So, how did we do? Well, penalty scores range from 17 points to 85 points, with some of the novice teams doing exceptionally well. As for Sean and I, we've taken first overall/first expert. With crews competing from all over the UK – including a Scottish crew who made the nine-hour drive to the south coast of England the day before – it was a tough competition. Interested in having a go yourself? The next event is Magnum Spirit at Millbrook Proving Ground, Bedfordshire, on Sunday 3 June 2018, and BAMA runs other similar events throughout the year across the country. See you there! 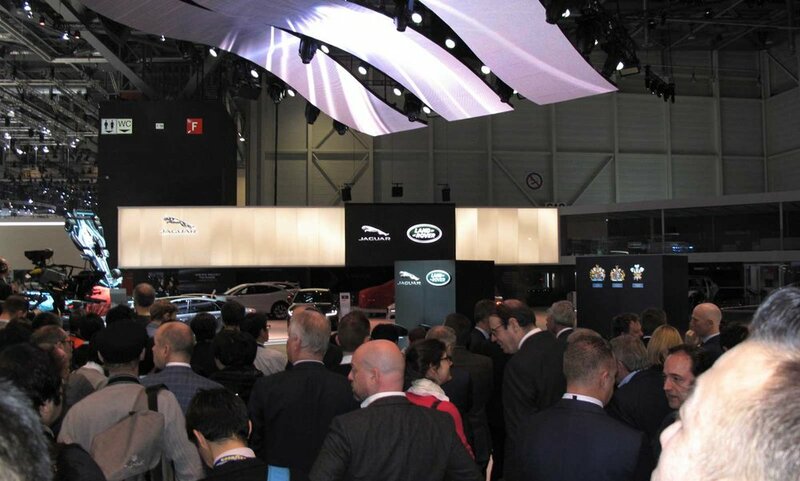 While Geneva’s Cointrin Airport was bustling with winter sports enthusiasts heading for their late season resorts, over the road at the Palexpo venue for the 2018 Geneva International Motor Show (GIMS18), members of the motoring media were wondering whether Jaguar Land Rover was also heading for a slippery slope, writes Mike Gould. This followed the re-location of the company’s stand into a desolate corner next to owners, Tata Motors, and a lacklustre press conference debuting the Range Rover SV Coupé and the Jaguar I-PACE electric car. The event was previewed by the surprise announcement that Felix Bräutigam would become Chief Marketing Officer, effectively absorbing the responsibilities of Andy Goss, who as Sales Operations Director had been presiding over a rapid rise in Jaguar and Land Rover demand. Goss, would be leaving to ‘pursue new challenges in the automotive business’ – shorthand for not wanting to stick around in the new organisation. Anyone wondering why the JLR event seemed so downbeat was given another reason for the gloom when, just over a week later, it was reported that Special Vehicle Operations MD, John Edwards, was also on his way to be replaced by Michael van der Sande joining the company from the Renault sports car division, Alpine. Edwards’ departure marks another step in the demise of former Rover Group and Land Rover staff to be replaced by European car men (Bräutigam is German, van der Sande, Dutch) and poses the question as to who might be next. There are fears it could be Land Rover’s Chief Design Office, Gerry McGovern. Recently awarded the prestigious Designer of the Year Award at the 33rd Festival Automobile International, Land Rover could be seen as too small a showcase for McGovern’s prodigious talent. Insiders also report that his ambitious design themes for the brand are being tamed by more cautious members of the board. His proposals for the Discovery and Discovery Sport were rumoured to be much more radical than the designs that eventually went into production while the motoring press certainly expected something more of the Range Rover SV Coupé. Following the success of the LRX-derived Evoque, motor manufacturers would be queuing up to grab McGovern but he certainly has enough cachet to open his own studio, perhaps taking with him some of Land Rover’s best creative talent. If these fears are real, they could certainly explain McGovern’s uncharacteristically hesitant performance at Geneva. All this comes against the background that JLR is, despite a 6.5% increase in sales for 2017, a minnow when compared with other manufacturers. While JLR garnered 621,000 customers in 2017, rival specialist BMW flagged over two million and the Fiat Chrysler group double that. JLR’s biggest weapon in its armoury is its distinctive British design. If that edge is lost, then it’s going to be a world as cold and as hard as the mountains framing Geneva for the UK’s flagship motor manufacturer. Where would we be without our mobile phones? Even the most tech-unfriendly will have a phone of some kind or other (probably a Nokia 3310…), but most of us now have smartphones. And Land Rover has launched a smartphone with a battery life to rival that of the old Nokia: the Land Rover Explore. Capable of running for two days of typical use, and able to double that with the Adventure Pack, the £599 Land Rover Explore is a rugged full-HD Android mobile phone with a five-inch screen. The screen is bright enough to use in full sunlight and can be controlled with gloves or wet fingers. It’s also fully compatible with all Land Rover in-car apps. As far as publicity stunts go, driving a Range Rover Sport up one of China’s most famous landmarks is quite a feat. the bottom of the legendary seven-mile-long Tianmen Mountain Road – known as the Dragon Road thanks to its twists and turns – in Hunan Province, before attempting the epic final ascent to the Heaven’s Gate natural rock arch. Powered by a combination of the 296bhp 2.0-litre Ingenium petrol engine and 85kW electric motor, the Sport effortlessly conquered the phenomenal 999-step, 45º stairway. Another limited-edition Land Rover is about to hit the streets, but the company isn't giving much away at the moment. The Range Rover SV Coupé will be revealed at the Geneva Motor Show and 'no more than 999 examples' will be offered worldwide. Each vehicle will be hand-assembled by Special Vehicles Operations at Ryton-on-Dunsmore, Warwickshire. The SV Coupé will be revealed on 6 March 2018, when full details will be available. If you'd like to register an interest for one of these limited edition models, contact your local dealer - find them here. A select number of high-performance upgrades inspired by the Defender Works V8 70th Edition will soon be available for owners of more standard Land Rover Defenders to purchase. The options will include power upgrades for the TDCi engine, together with fast-road suspension and braking kits. Land Rover was always reluctant to offer Defender owners power upgrades, but relented a little with the Autobiography and Adventure editions, boosting power from the standard 120bhp to 148bhp; a noticeable increase. 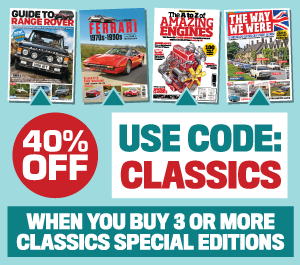 More information will be available from Land Rover Classic in due course. There’s nothing quite like a V8 engine. And there’s nothing quite like a Defender. So, fusing the two together to create a special 70th anniversary edition is the stuff of dreams – and that’s what Land Rover Classic are doing with the 70th Edition. These aren’t ‘new’ Defenders, though. 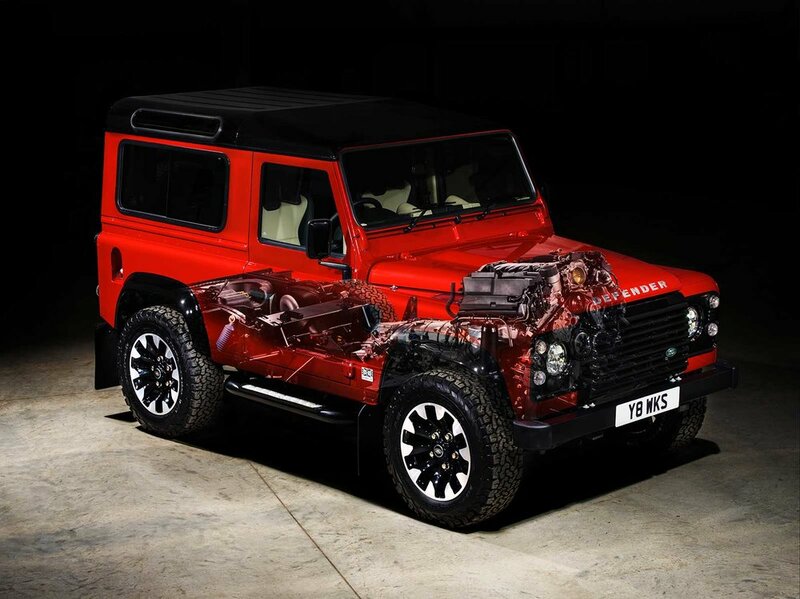 Like the company’s Reborn restorations, the Defender Works V8 will be re-engineered vehicles, completely rebuilt and fitted with JLR’s 5.0-litre 400bhp naturally aspirated V8 engine, coupled to an eight-speed ZF automatic transmission. That'll give a 90 exceptional performance, propelling it from 0-60mph in 5.6 seconds. Up to 150 units will be built, and the starting price is a cool £150,000 for 90 models. 110 models will also be available. So, what do you get for your money? Well, you’ll get a fully rebuilt and re-engineered Defender with the V8 engine and eight-speed gearbox, complete with pistol shifter. The two-speed transfer box is fitted with a torque-biasing centre differential, while the front and rear diffs are heavy-duty. Brakes are beefed up too, with 335mm front and 300mm rear discs and four-pot cylinders front and rear. These push the standard wheel size up to 18-inch, and the diamond-turned Sawtooth alloys are shod with 265/85 R18 BF Goodrich All-Terrain KO2 tyres. A handling kit including front and rear anti-roll bars is also fitted. The exterior is finished off with rear LED stop/tail and indicators, and Nolden LED headlights, as fitted to the Defender Celebration models in 2015. Inside, full Windsor Leather interior trim covers the dashboard, door panels, headlining and Recaro Sports seats. In car entertainment is brought to you by Land Rover Classic’s own Classic Infotainment System. Tim Hannig, Jaguar Land Rover Classic Director, said: ‘It’s fitting that we’ve been able to release the full potential of the iconic Defender, whose much-loved shape remains synonymous with Land Rover, 70 years since it was seen in public for the first time. We’d heard the rumours of the V8 special editions, before the launch of the Celebration Editions, and were a little disappointed not to see a V8 model among them. At least that has now been addressed and the 70th Edition will be available in the UK, and MENA (Middle East and North Africa) markets on a personal import basis. European market availability is also on an individual import basis, subject to rules on importation of vehicle conversions. I couldn’t put the inevitable off any longer. I’d been monitoring the state of the rear crossmember on my 110 for a while and spotted the tell-tale signs of rust taking hold, where mud and water collects beside the jacking point. I’d put off fixing it because I’m not a great welder, but the imminent MoT meant I had to act. I had everything I needed – metal, paint, cavity wax and some of Gwyn Lewis’s rear mudshields to protect it when done – it was just a case of waiting for a dry day. I was pleasantly surprised to discover that my welding wasn’t as bad as I thought it would be. Okay, it’s never going to win any awards for neatness, but I’d managed to plate the problem areas, and some fairly hard thumps with a hammer didn’t dislodge them – so the welds must be reasonably sound. It was all child’s play compared to preparing the back end to fit the new mudshields. I couldn’t find my TX50 bit for removing the lower seatbelt anchorage, so I had to buy a new one. Then the top bolts took an age to undo – I just couldn’t get an impact wrench on to them. Oh, and then I had to grind the heads off the screws securing the factory mudshields – and I couldn’t remove the wheels for access because I had the Defender on ramps. But eventually everything was off and, once the parts had been cleaned up, fitting the mud shields and replacing the anchorages was a doodle. Pre-Pro P38 Saved by LRO! Sometimes you need to question your actions. With one hugely temperamental P38 already tucking into my savings, buying another would surely be the action of a madman. Simon Lake is glad the CVC has found a good home. How long before Calum is a broken man? So let me introduce you to the new arrival – it’s pre-production, has an ill-tempered 4.0 V8 and employs a manual gearbox. There are a few downsides: it’s been off the road for some time with sensor and electrical problems and has been converted to coil springs at some point in the last 23 years – taking the edge off its handling. Also, like any other ageing second-generation Range Rover, it has rust issues on the rear wings and underside – not to mention some debris from the Land Rover factory roof that apparently fell on it in 1994. However, I’ve longed for a ‘CVC’ vehicle (so called after the plate prefix for factory test vehicles) ever since clapping eyes on CVC club founder Julian Lamb’s own example. After being contacted by Simon Lake, who told me he had two for sale, it was only a matter of time before the heart ruled the bank account. I kept my interest hidden from the LRO team to avoid the taunting, instead sneaking off for Beedon, West Berkshire while they went home. my affections immediately. The asking price couldn’t be haggled any lower but luckily I had a plan. I phoned my father, Colin Brown. He was looking for a fresh project, offering to go halves should I find something interesting. He was a tad delirious with flu as my mother answered the phone, but agreed to finance his share after he was awoken from his manflu coma. Apparently he woke the next day believing the purchase was a dream. Here’s hoping it doesn’t turn into a nightmare. If you want me, I’ll be rocking back and forth in the corner of my garage. 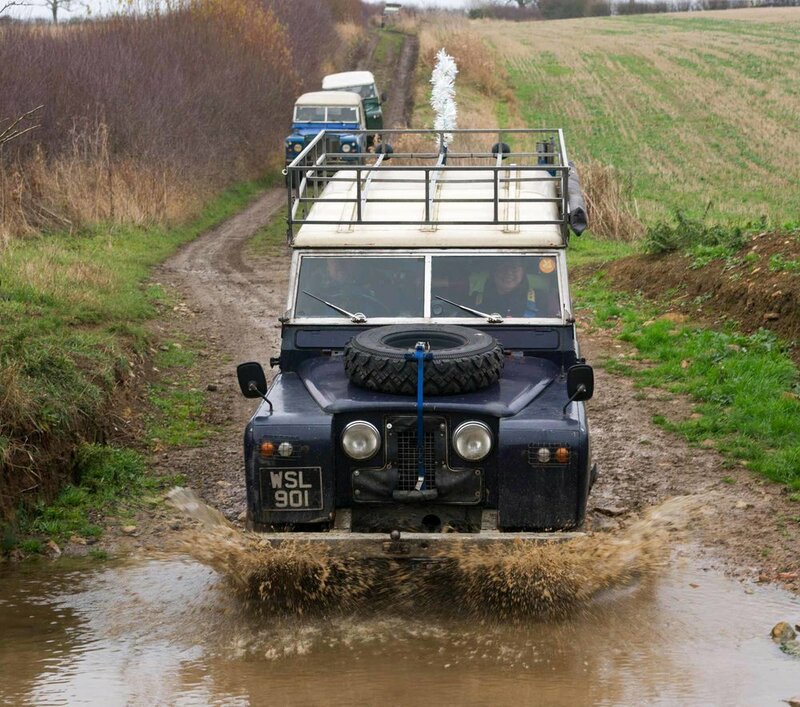 A year ago Victoria Towell created the ‘Landy Ladies’ Facebook group, which with the support of an enthusiastic bunch of Landy loving friends has grown to a community of nearly 500 female enthusiasts. The group has already received an accolade that few if any Land Rover club can claim; an encouraging letter from the most famous Landy owning Lady on the planet, Her Majesty The Queen. Her Majesty thanked Victoria for the set of Landy Lady vehicle stickers that were sent to her and for letting her know of its existance. The group are now looking to attend shows and events in the near future so if you’re a lady and have a Landy please look them up. 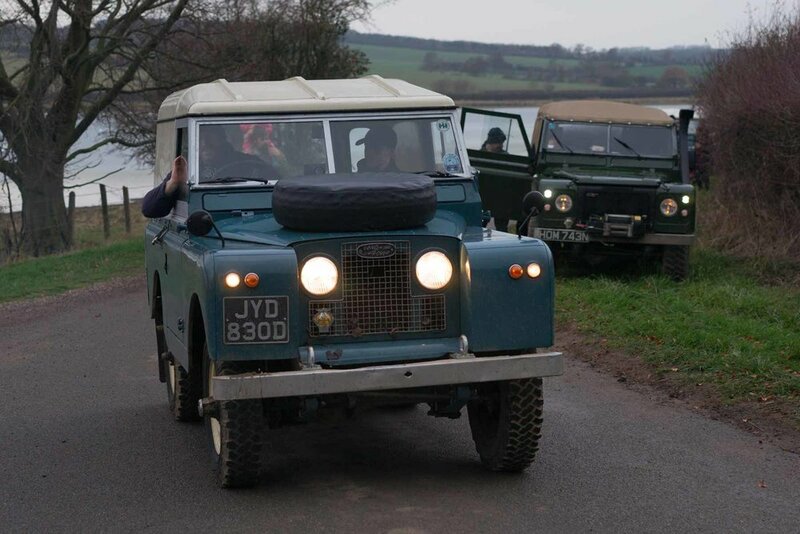 You can read more about the Landy Ladies in an upcoming issue of Land Rover Owner. Land Rover have announced the new Range Rover Velar – plugging the gap between Evoque and full-fat Range Rover. 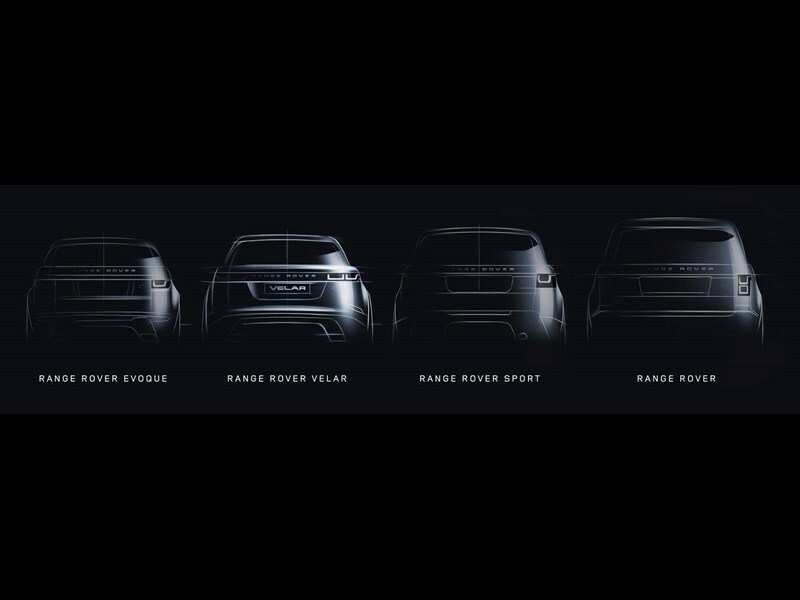 Marketers at Jaguar Land Rover have decided that there has long been a gap between the urban-soccer mom’s Evoque special and the stool pigeon carrying, crime lord’s favourite Range Rover Sport. This should also give JLR more market share from the current car buying public, who simply can’t get enough of SUV vehicles and crossovers. Exact pricing hasn’t been announced, but we expect the new Velar to find itself leaving showrooms as a base specification for roughly £45k. Due to be shown at the 2017 Geneva Motor Show, the Velar will become the fourth member of the Range Rover line. Land Rover seem more concerned about explaining the vehicle’s position in the hierarchy rather than showing us an actual picture – perhaps in tow with how Range Rover drivers see themselves in the pecking order. It shows the rapid change in the buyer’s market, only 13 years ago there was a single Range Rover to choose from. Then again, we also had the Defender. And the Freelander. And, of course, it’s called Velar – which is legendary in Land Rover circles. The early prototypes were dubbed Velar, derived from the Latin ‘Velaris’, to convey the camouflage they wore and prevent the competition from spying on them. That should make your google searches for classic pictures all the more difficult.